Sometimes, very rarely, we hear songs that make us appreciate everything around us just a little bit more. These songs transcend us, whether it is the meticulously chosen lyrics or the soothing vocals, there is a certain something that immediately resonates within us. However, these coveted songs are becoming scarce throughout our generation. The radio is now littered with auto-tuned voices belting out crude, monotonous and meaningless lyrics. There was a time, however, when music was about bringing people together. Artists like Janis Joplin and Neil Young reached fame through the influential messages within their lyrics. Their vocals took a backseat while their hypnotic lyrics transformed generations. Artists like Joplin, Young and so many others became the voice of the people during the 1960s and 1970s. Lucky for us, we are still in the presence of one of the most prolific artists to come from that era, and he continues to influence music with masterful lyrics to this day. Bob Dylan is the ever-evolving icon this world continues to lean on for inspiration. Dylan is commonly referred to as an American poet, and if you have ever heard just one line from any of his songs, you’d understand why. Each lyric Dylan writes, down to the syllable, shatters the earth. His songs have stood as homage for anti-war movements, political movements and social movements throughout generations and have been covered by every artist from Johnny Cash to Eddie Vedder. Dylan is one of the most decorated musicians of our time with 12 Grammys, an Academy Award, a Golden Globe and most recently, a Nobel Prize for Literature. Dylan is the first American to win a Nobel Prize for Literature since Toni Morrison in 1997, and the first musician win, ever. Even at 75, Dylan continues to break down barriers. These new “broken barriers” have led to a slew of critics questioning the Swedish Academy’s choice. These critics were in shock of the Swedish Academy’s choice to award one of the most distinguished awards in Literature to lyrics in a song, and not a writer’s full text alone. What these critics fail to see is the ability Dylan has to alter words and give them a fuller meaning and worth. His poems (songs) are a source of inspiration; they warm the soul, challenge social norms and enliven our minds. The Nobel Prize in Literature is one of the highest honors granted by the Swedish Academy. It was Dylan’s ability “for having created new poetic expressions within the great American song tradition,” according to the Swedish Academy’s permanent secretary, Sara Danius, that earned him the Nobel Prize. 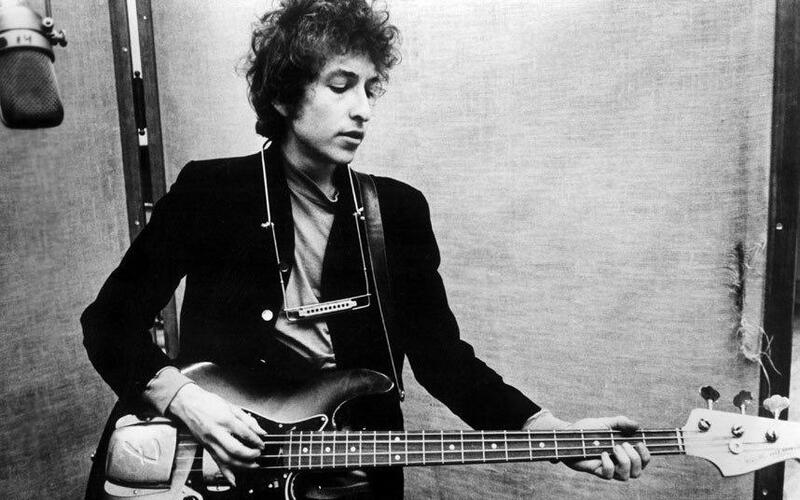 According to the Nobel Prize’s bibliography page, “His influence on contemporary music is profound, and he is the object of a steady stream of secondary literature,” and by secondary literature, they mean the copious amounts of magazines, journals and textbooks featuring Bob Dylan and his lyrical works. Bob Dylan’s Nobel Prize in Literature not only reminds us of his incomparable works, but it also reminds us of the power music has. With everything going on in our world, this is the time to cultivate artists who will inspire us and enliven us for generations to come, just as Bob Dylan has.